The unusually warm weather in March, up to 18-20C, got the garden plants off to an early start, but for some reason, spring flowering shrubs and trees are not budding yet. Still, I saw today a flowering magnolia and forsythia shrubs are starting out too, slowly but surely. I've find this cheerful forsythia shrub in a sunny place, protected by a building. And guess what? Early, dwarf tulips are blooming as well. Bardzo lubię forsycje. Krzew pięknie wygląda jak jest cały obsypany żółtymi kwiatuszkami. U mnie tulipany jeszcze nie pokazują pąków kolorowych. Pozdrawiam. 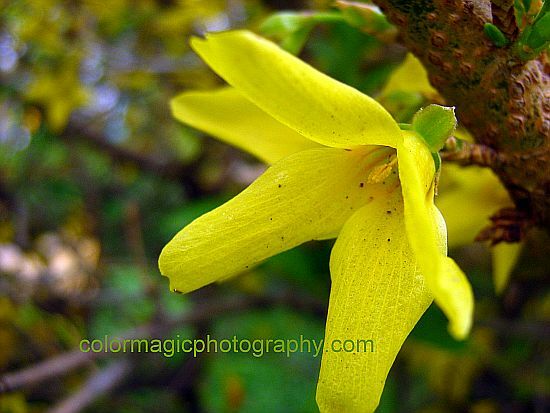 I really like forsythia. The bush looks beautiful as is the sprinkled with yellow kwiatuszkami. 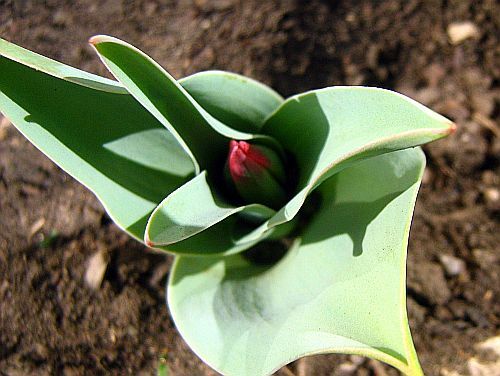 In my tulips have buds do not show color. Yours. How cute is that, Maia! Oh I am so happy that spring is bringing lots of surprises as these!